On Thursday, July 23rd, I have the honor of presenting again during Education Closet‘s summer Connectivity Conference. This is a conference I have presented at since it’s conception by my wonderful friend, Susan Riley. She has done such great work for teachers who strive to keep the arts and arts integration thriving in schools. The art of dance allows you to literally embody STEM concepts. Whether you are a trained professional or wall-flower, you can do this Pre-K through 12! During my presentation, I will share ways I have used dance and movement to introduce vocabulary, teach scientific processes and assess science and math concepts. Before I share a couple of examples, first let’s look at some dance concepts. Remember, in order for these to be examples of true arts integration, you need teach the STEM concept as well as that of the art form. 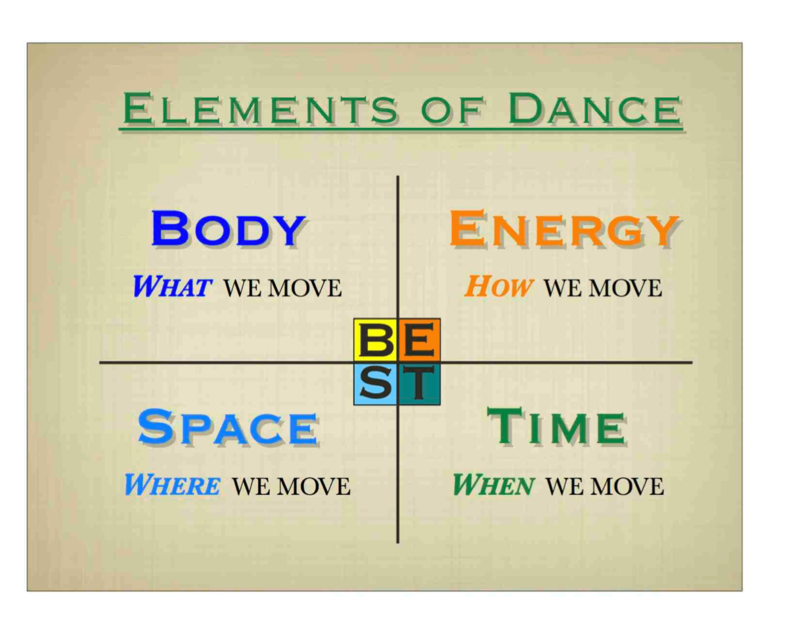 For dance, I use BEST, an acronym that stands for Body, Energy, Space and Time. Briefly, Body refers to the body parts that you move, Energy is where you can consider the tension on your body as well as how you move your body, Space refers to the space you take up with your movement, including a varieties of levels from crouching low to stretching up and/or out and Time refers to your tempo or speed of movement. 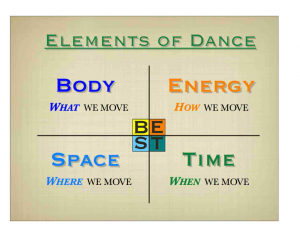 For a wonderful post detailing these concepts, please check out BEST: An Integrated Teaching of the Elements of Dance by a good friend of mine and writer with Education Closet, Deirdre Moore. Keeping these concepts in mind, I’d love to share a couple of dance videos with you that showcase some STEAM dances my students have created over the years. This is a popular video on our YouTube channel: Math Dances! Dance is a wonderful way to get students actively learning about many concepts weather we are talking about moving though a scientific cycle, acting through a story, moving like the lines in an artwork or expressing a piece of music. As you consider your next lesson or project, keep a copy of BEST near you and see if you are inspired to get your students moving. Printable resource with links from today’s presentation.